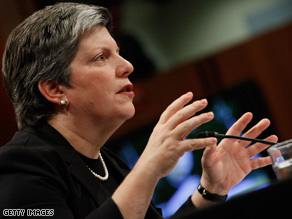 Should Homeland Security Secretary Napolitano be fired? In light of the botched Christmas Day terror attack - some are suggesting it's time for heads to roll in the Obama administration. And quite a few fingers are pointed at Homeland Security Secretary Janet Napolitano. For one thing she couldn't wait to utter the inane comment, "the system worked," right after someone tried to blow an airplane out of the sky. 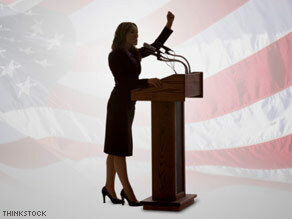 She later clarified her remarks…but the damage was done. Republican Senator John Kyl, from her home state of Arizona, told reporters he no longer feels "totally safe" with his former governor in charge of homeland security... Kyl said this with Arizona's other Senator - John McCain - by his side. Quite a different tune from last year - when both Republicans cheered her nomination. Other Republicans have actually called for the secretary's resignation. Defenders of Napolitano say it's one of the toughest jobs in government - managing 20-plus agencies and a nearly $50 billion budget. And there is precious little in Janet Napolitano's background that qualifies her to be in charge of homeland security. At the end of the day, the buck stops at the top. It's one thing for President Obama to express righteous indignation - which he did yesterday - but quite another to lead by example. The president is already developing a reputation for being indecisive, wishy-washy, governing by consensus, etc. Here's a chance for him to break out of that. Besides, if he fired Napolitano, it would likely get a lot of other people's attention in government. Here’s my question to you: In the wake of the latest attempted terror attack, should Homeland Security Secretary Janet Napolitano be fired? Does Gov. Rendell owe Gov. Napolitano an apology? Ed Rendell is the governor of Pennsylvania. He's been in politics long enough that he should know you don't say stuff around an open microphone that can come back to bite you in your situation. And if you're a male chauvinist you should be extra careful. Yesterday Rendell was commenting on the nomination of Arizona Governor Janet Napolitano to be the head of the Department of Homeland Security. There was an open microphone nearby and we were treated to Rendell's musings that Napolitano would be perfect for the job because she has "no life." She has "no family." She can work 20 hours a day protecting the homeland. These are the mutterings of a moron. CNN's Campbell Brown wrote a commentary in which she asked if Michael Chertoff, the current head of Homeland Security or Tom Ridge, the first head of Homeland Security were hampered in the performance of their duties by the fact that both men are married and have children. At the same time we move forward and elect an African-American president we have the governor of Pennsylvania dragging his sexist knuckles along the ground insulting a fellow governor. Governor Rendell did issue a clarification today during a press conference on budget reductions. Rendell said what he meant to say was that Janet Napolitano is a person who works 24-7 just like him.